Never met the lady but…gosh….by the sound of things, she messed up badly! Apparently, back in the day, she came from a wealthy family and was quite a rich woman. Legend has it that unknown to her family, she buried most of her gold and jewelry in a random field somewhere for “safe keeping”. But compared to burying your life’s savings and forgetting about it, I think my mistakes don’t come close. If you’re a business owner or an online entrepreneur, I think you’re going to be able to relate. 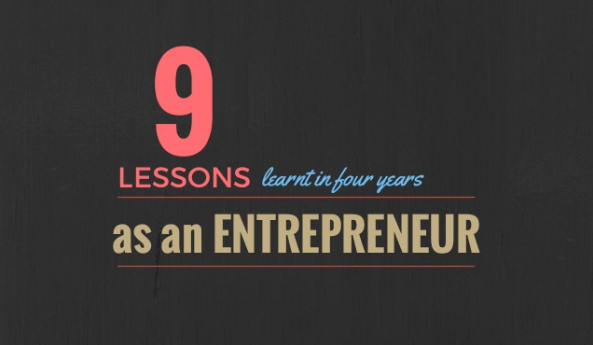 Here’s the nine lessons I’ve learned as an entrepreneur since starting my first business. PS – I don’t suppose you’ve got a metal detector you can lend me, do you?